Sometimes we are not even aware that our homes emit odors that our guests may find unpleasant. These are ones that we have learned to ignore, like pet scents that haven’t been diffused. After winter is over you need to open those windows and air the house out. Then there are the random odors we don’t have immediate control over. For instance, if you’re preparing a meal that requires you to slice and peel onions (and/or garlic) it’s a temporary offense, really. But what can you do from offending the olfactory-sensitive among those who visit your home? What’s to be done to mask sudden odors in certain rooms before it reaches beyond its confines? You don’t want to use those store bought air fresheners; they contain ingredients that are potentially harmful, both to your family and the planet. Even fresheners that are labeled “natural’ may not be so entirely, so why take the risk? Your best bet is to follow these home improvement ideas and create your own solutions. Welcome to the awesome world of simple DIY projects (“do it yourself”)! Here you’ll learn that you can be environmentally conscious AND cost efficient. In fact, many of the things that are a must have are likely already in your home. Sure, you may need to pick a necessary component up at the store, but ultimately it will be worth the time and minimal cost. Coffee is an excellent absorber of odors. You can grind it, brew it, or simply bake the beans in the oven and create a stimulating pleasant aroma. The result will please your senses and quash any existing unpleasant odors. If you’ve got a bit of a foul smell challenge, set out bowls of fresh ground coffee. 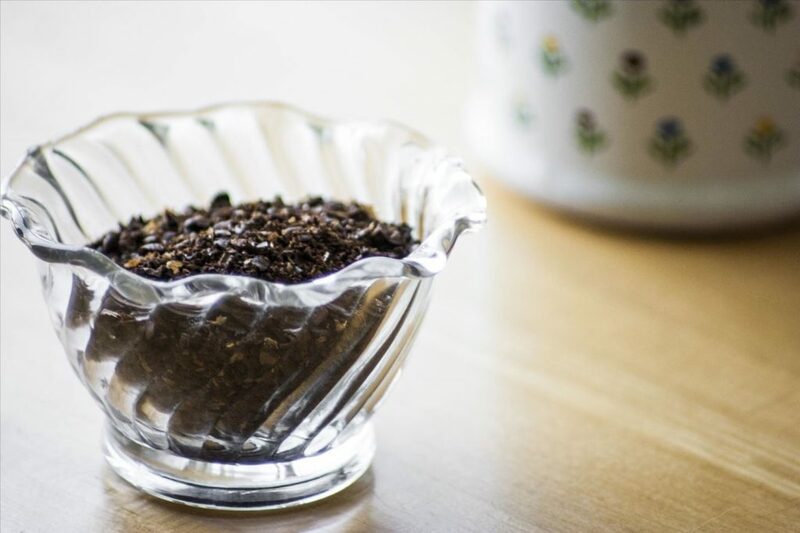 Conquer trash odors by putting coffee grounds at the bottom of a new trash bag. If you have a love for herbs then you already know the secret – a special bouquet of them will freshen the air of even the dankest places. Snip fresh herbs such as geranium, peppermint, rosemary, lavender, etc… and arrange them attractively in petite bud vases. Create odd groupings to tempt your senses with completely unique fragrances. There’s another plus to these special bouquets, they are decorative! Use them as a centerpiece on the dining room table! 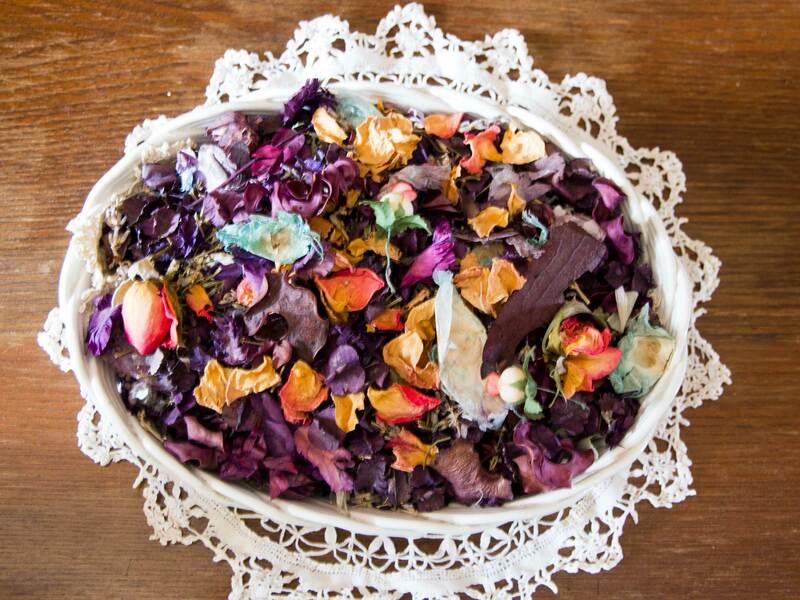 Sure, it was that easy Christmas gift you would buy for your aunt without ever really knowing what it was, but potpourri has a lot of real value and will offset any plain or unpleasant odors. There are many different combinations to choose from, endless blends of flowers and herbs of exceptional fragrance and of course, essential oils to tie it all together and add the extra needed punch to make it fill the room with good aromatic vibes. Here’s an idea that has long been used to bring out the best in a room – an organic air freshener so effective and popular it is embraced by real estate agents and party givers alike. 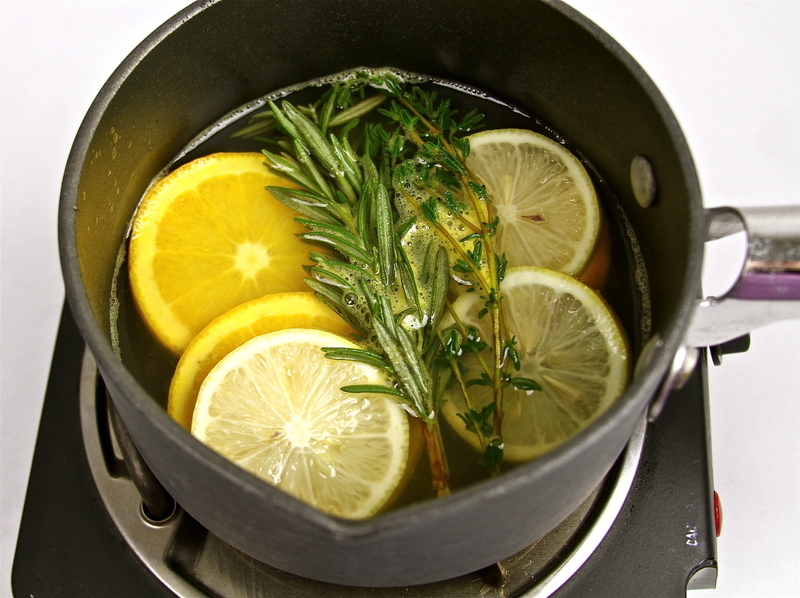 Simmer in hot water a potpourri mix of citrus and spices. It can improve the air of the entire home with a motivating scent. Everyone can benefit from the antiseptic properties that slowly release into the air as a natural disinfectant. 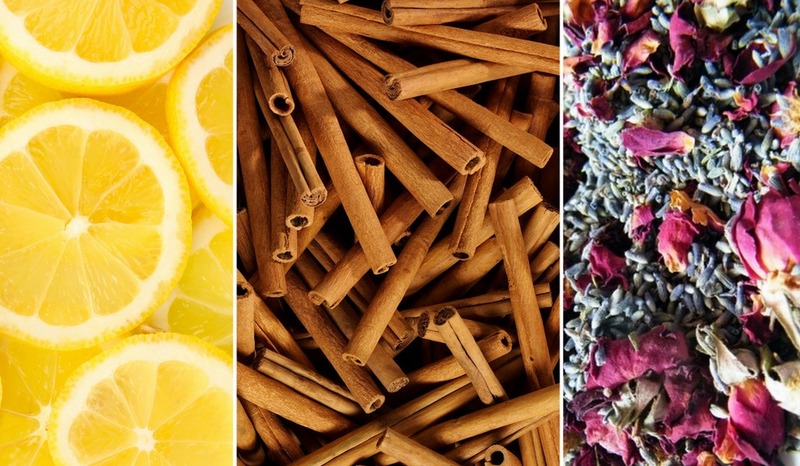 Sure, it’s a great spice, and a bit pricey when you spring for the real thing, but it can also serve to refresh the olfactory flavor of your home. Fill an empty spray bottle with a single part of vinegar and four parts water and spritz. Spray conservatively and you should notice an improvement quickly. If concocting the formula is too much work, you can actually just leave out a bowl of vinegar in the kitchen. It will remove cooking smells and help rid the air of bacteria. So, what of aromatherapy? You won’t just be refreshing the air when you diffuse essential oils (ones that have antiviral elements) but you’ll be purifying it too. It’s effective, healthy and best of all super-easy. Simply bring a pot of water to a boil, remove it from the heat, and proceed to squeeze a few drops of essential oil into it. Lemon or eucalyptus is particularly effective. You will notice the scent penetrate the room. Shop for other diffusers, such as candle, electric diffusers – and don’t forget one for the car.